With the help of Dr. Cameron Ghalambor and teachers Sarah Warren and Stephanie Simmons, I developed a program to introduce evolution to Severance Middle School 7th-graders. I used an approach similar to that used for the 4th-grade projects, but the student experiment was designed to illustrate two types of selection that guppies experience in the wild. Colorful males performing displays have increased mating success (sexual selection) but are preferentially eaten by predators, thus decreasing survival (natural selection). Using three populations that have experienced variable predation pressure, the students conducted mating experiments adapted from my research. 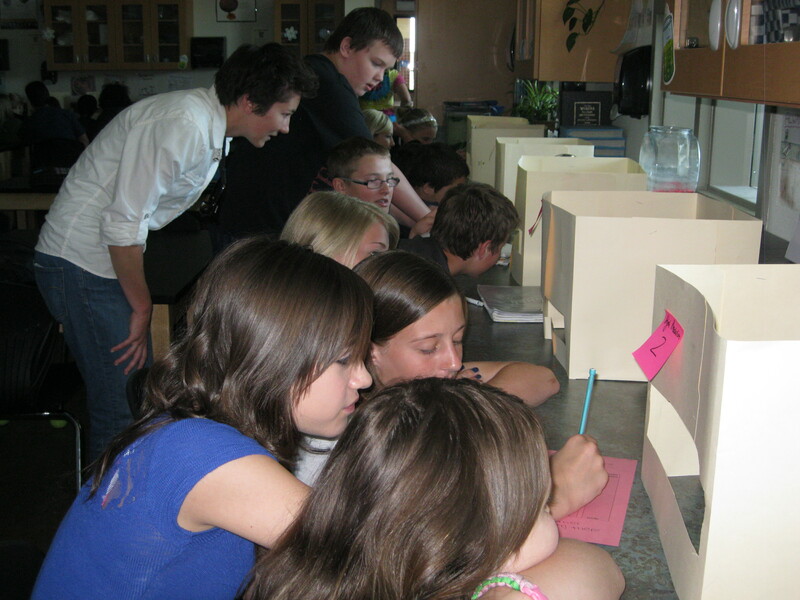 Students made predictions about male and female mating behavior based on their environment of origin (predation regime). They also observed anti-predator behavior and predator preference in predator trials. 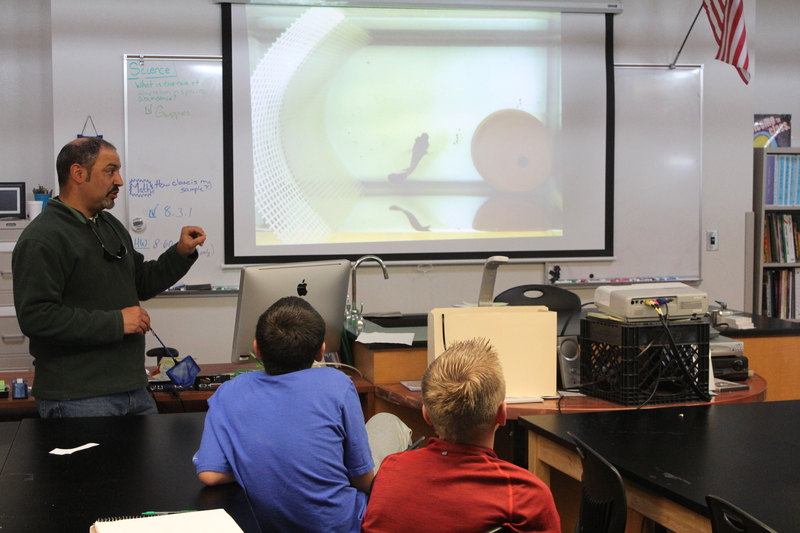 Thus, the students were physically engaged through hands-on activities and mentally engaged while independently discovering evidence of selection driving phenotypic changes in guppy populations.